Read the whole story about this badass south Louisiana woman. Posted in Louisiana. Tagged Louisiana, Cajun Pocahontas. Now that is what matters. Maybe she will be my write-in candidate of choice. God bless that strong woman. 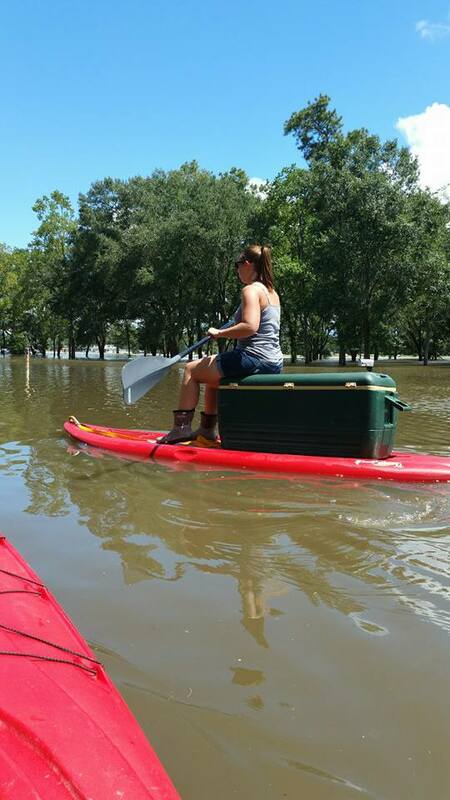 Just balancing on a cooler on top of a flattop kayak is badass, let alone then paddling over a mile of floodwater without flipping over. That is some mad skills right there. Out here in Cali we call that a (Stand up) paddleboard.